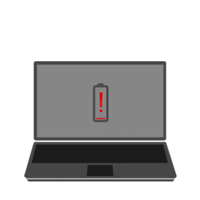 If you’re having a laptop problem we will fix your device fast. We are Quick Fix Technologies and we’re here to help you. The problem is more than likely in your power jack. What is going on is that you more than likely need a Laptop power jack repair. Just bring it into our shop which is conveniently located at 347 Fifth Ave, Suite 310, right here in New York City. Bring your computer down and we’ll get right on it and diagnose the problem for you. The power jack, however, is the most obvious cause of this kind of problem, though, and if that’s the cause we can fix your problem fast. We also have the expertise to repair any kind of laptop including those manufactured by ASUS, Acer, Alienware, Dell, HP, Lenovo, Samsung, Sony, and Toshiba. We also pride ourselves in our ability to solve your problem the first time everytime. We can even do upgrades. Laptop computers are absolutely wonderful devices. They are truly portable and the laptops of today come in a wide variety of configurations including those that have multiple cores and gigabytes of memory to handle almost any kind of job you can toss at them. The very best of these laptops have up to four cores in their processors. These laptops with multicore processors have the ability to allow the user to actually do as many as four separate jobs on their laptop simultaneously without a hitch. These jobs could be as different as graphics processing, letter writing and even checking your email. Doing all of these things at once was only a dream just a few years ago but today it’s a reality. Another thing about your laptop is that most of the functions you would need are already built into the machine. It has a color screen, graphics processor, hard drive, DVD drive and a memory card. However, what many people are unaware of is that you can actually, if the need arises, upgrade your present machine without having to go out and buy a brand new one. But like all things electronic sometimes laptops just quit working. Remember, if your having a problem with your laptop we will fix your device fast. Even if you are having a laptop power jack problem we can handle that too. Bring it in and we’ll have you up and running again in no time. Quick Fix Technologies is conveniently located at 347 Fifth Avenue ste. 310 (between 33rd and 34st. st), right across from the Empire State Building. For fast laptop power jack repair in NYC, call 212-810-6432 or stop by today. We’ll be happy to repair your device fast so you can get back to normal in a flash.